Central Texas Spine Institute, PLLC (Austin) - Book Appointment Online! 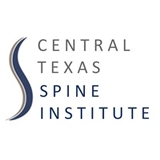 Central Texas Spine Institute, PLLC, located in Austin, Texas, is the independent medical practice of Dr. Randall F. Dryer offering comprehensive spine care, including diagnostic services, conservative treatment modalities, and spine surgery. Dr. Dryer is a fellowship-trained doctors offering treatment for degenerative conditions of the cervical and lumbar spine. Our surgeons utilize the very latest minimally invasive surgical techniques to minimize recovery times and allow you to get back to enjoying life as quickly as possible.